I enjoyed a great weekend on Waiheke Island with friends. 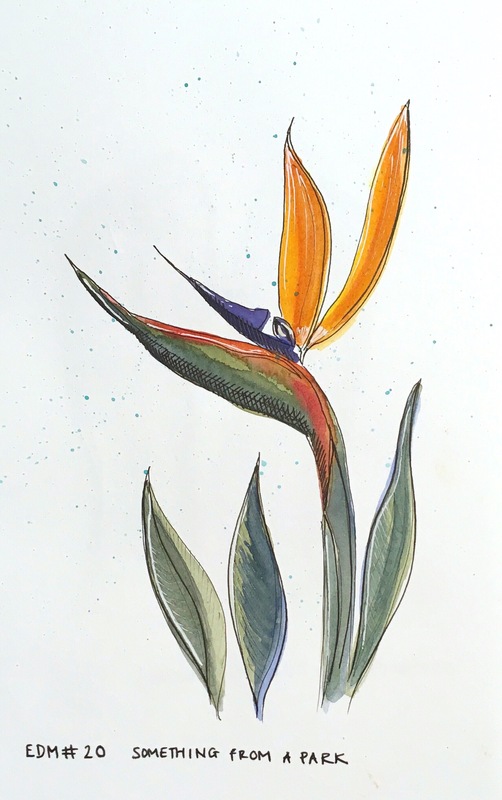 Not much sketching, but I did manage a quick drawing of a Bird of Paradise plant for the day 20 topic. 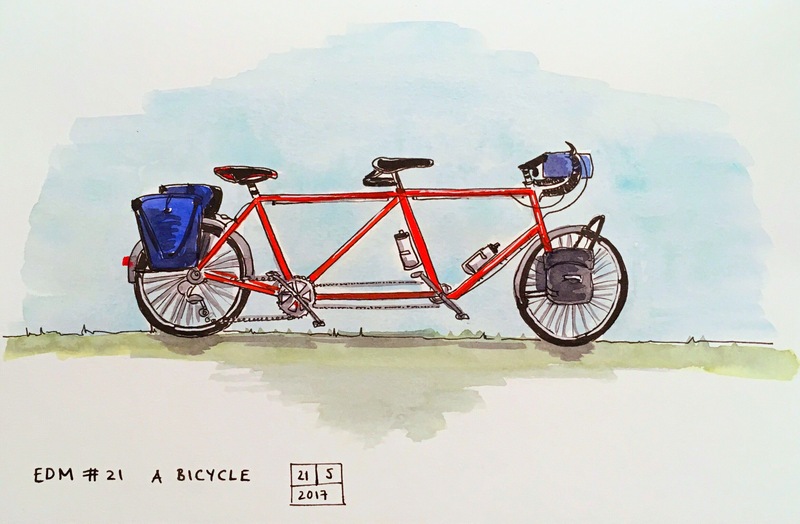 I really miss our tandem bicycle, which we have left in the UK. I can’t wait to ride it again! 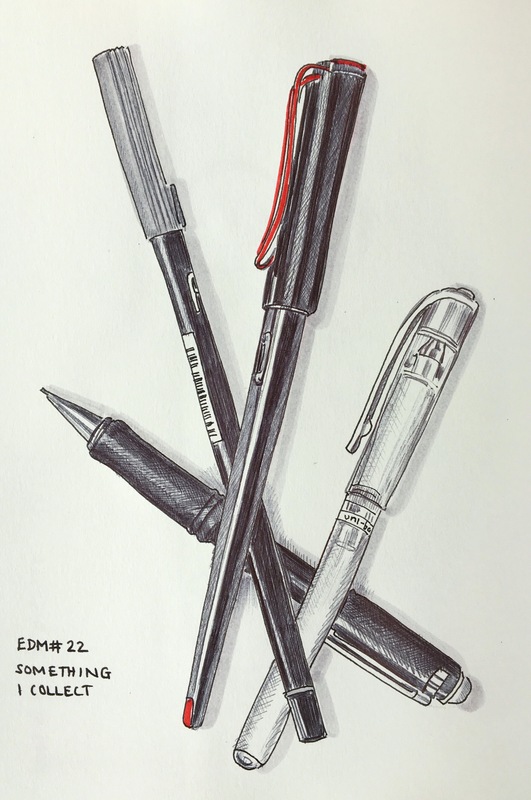 I particularly like the pens. You have managed to create a sense of depth to the ‘still life’. Thank you! The daily sketching is a challenge but I always find I improve in some way over the month. Love your Bird of Paradise! Pingback: EDM 2017 Days 20-22 — Tabitha’s sketchbook — С любовью к людям!